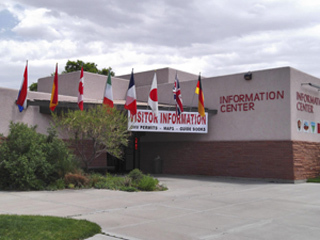 The best place to visit when you first arrive in Moab is the MIC (Moab Information Center). Staffed by members of the US Park Service, Bureau of Land Management & the US Forest Service, the MIC can provide you with a wealth of information about the area. Located in the center of town at the corner of Main and Center Streets, it’s easy to find. 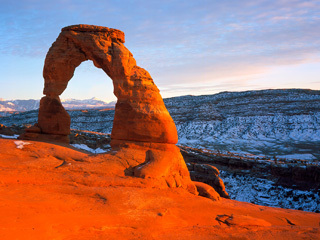 Visit Arches and discover a landscape of contrasting colors, landforms and textures unlike any other in the world. The park has over 2,000 natural stone arches, in addition to hundreds of soaring pinnacles, massive fins and giant balanced rocks. Explore a wilderness of countless canyons and fantastically formed buttes carved by the Colorado River and its tributaries. Rivers divide the park into four districts: the Island in the Sky, the Needles, the Maze and the rivers themselves. 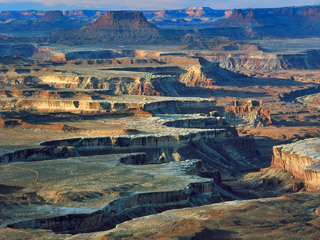 These areas share a primitive desert atmosphere, but each offers different opportunities for sightseeing and adventure. Stroll along the Rim Walk, towering 2,000 feet directly above the Colorado River. 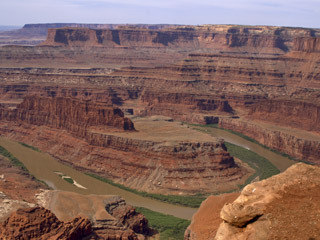 The mesa that is Dead Horse Point provides breathtaking views of the canyon country of southeastern Utah and the pinnacles and buttes of Canyonlands National Park. 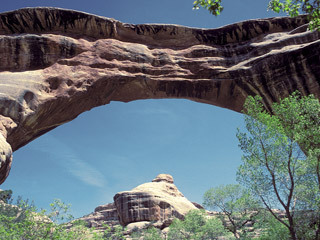 Three majestic natural bridges invite you to ponder the power of water in a landscape usually defined by its absence. View them from an overlook, or hit the trails and experience their grandeur from below. Declared a National Monument in 1908, the bridges are named “Kachina,” “Owachomo” and “Sipapu” in honor of the Native Americans that once made this area their home.